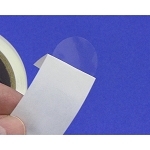 We have a wide in-stock selection of Clear Round Labels, and Rectangular Labels. 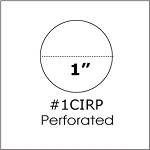 Choose from several different permanent adhesive strengths, Standard Permanent, Super Stick Permanent, and Extreme Stick Permanent. Click on products below to view quantity discounts. 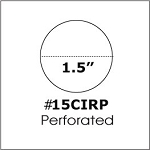 Three inch Round Clear Circle Seal Label Sticker 500 3CIR 3"
Freezer Rated Three inch Round Clear Circle Seal Label Sticker 500 FREEZER3CIR 3"
Custom sizes, colors, and custom printing on these seals is available - for a quick quote please call our custom label department at 301-570-0774.